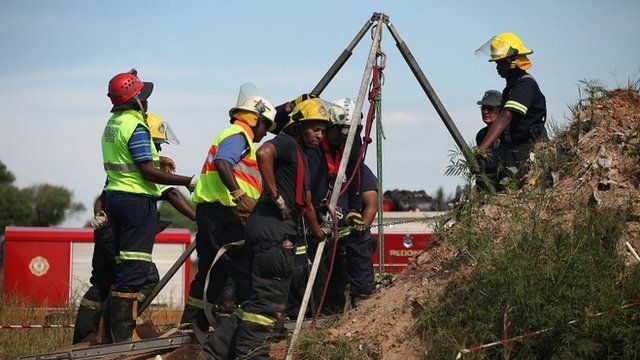 Trapped miners reluctant to leave Jump to media player Some of the illegal miners that were trapped in an abandoned gold shaft near Johannesburg have been rescued. SA's illegal miners dice with death Jump to media player Thousands of men are risking their lives in what is being dubbed Johannesburg's second gold rush - an illegal and desperate scramble for what remains of the precious metal in abandoned mines. Scores of SA miners feared trapped Jump to media player Scores of illegal miners are feared trapped in an abandoned gold shaft near Johannesburg, South African emergency officials say. 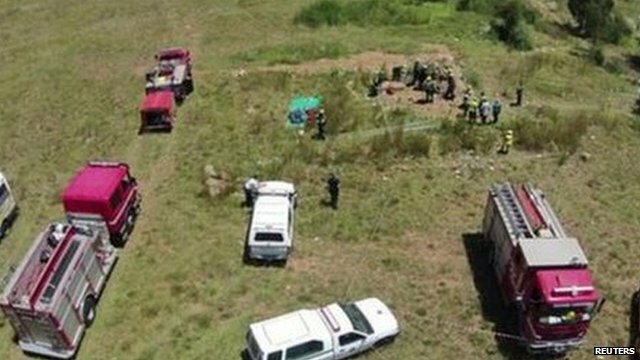 Some of the illegal miners that were trapped in an abandoned gold shaft near Johannesburg have been rescued. The BBC's Milton Nkosi said that some of the miners - who have been operating illegally - are afraid of being rescued. A group of 30 miners are thought to have been trapped for 24 hours.